Microsoft says it rejected 17 per cent of data requests from governments last year. Microsoft recently released its biannual digital trust reports which revealed that the company received almost 23,000 government requests for user data in the second half of 2017. However, this is the lowest amount of government requests received by the firm since it began reporting such figures five years ago. Between July and December of last year, Microsoft received around 22,939 government requests asking for information on users. Google on the other hand received 48,941 requests while Apple received 30,814 requests during the same time period. Microsoft's latest figures show that the company received 2,5000 fewer requests between July and December than it received in the first half of 2017. During the second-half of 2015, the company received the most requests at an all-time high of 40,000. When it comes to Microsoft's latest requests, 3,984 came from the US while the UK, France and Germany each made over 3,000 attempts at retrieving user data from the firm. Of the total requests made during the second half of 2017, the company said that it rejected 17.41 per cent of the government requests it received. 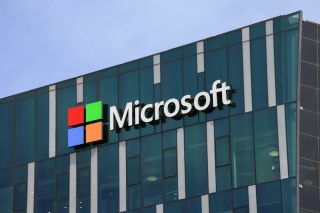 Despite Microsoft's rejection rate being higher than it was in the first half of the year at 16.63 per cent, the firm still supplied governments with user data 83 per cent of the time to disclose information on 37,209 accounts. Of the user data given to governments, 61.35 per cent of cases were related to non-content data and involved personal information such as email addresses, names, states, IP addresses or connection history. If you're overly concerned about your user data ending up in the hands of governments, then Microsoft may be a better choice than Google or Apple according to last year's figures.